Discover the Rocky Mountain region’s oldest, largest, and most prestigious garden and home show – a nine-day spectacular event-where you can visit with the region’s gardening gurus and home improvement experts from more than 650 companies. 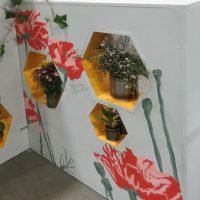 Learn about the innovative gardening and home improvement ideas, products, and services, featured in more than 1,400 booths. Take advantage of show-only specials! Feel free to read about all of our 2019 Show Features, 2020 Show information will be released throughout the year. Enjoy the multitude of fragrances as your stroll through more than an acre of professionally landscaped gardens -11 gardens in all! Visit the 5,500-square-foot Great Outdoors Colorado "Generation Wild" Entry Garden presented by Bellco. 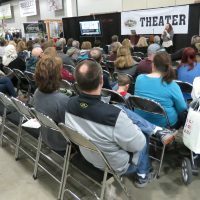 Attend one of the 40 FREE educational seminars in the Education Theater at the end of aisle 1100 for cutting edge gardening and home improvement ideas. Sessions are complimentary and are included with the price of admission. Check out the lineup of the 2019 seminars! 2020 Sessions will be published in December. 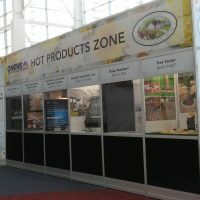 The 9NEWS Hot Products Zone, located at the top of the escalators across from the show entrance, is the place to find the greatest and latest in gardening and home improvement products. The Colorado Garden & Home Show annually features thousands of exciting useful gardening and home improvement products. Bring the whole family down to the Colorado Garden & Home Show! 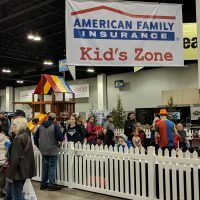 Admission for kids 12 and under is free, and the American Family Insurance Kid’s Zone offers a play structure, balloon animal art, fun crafts and more! The creative floral displays will add festive air and an island of color and creativity for the Show visitors. 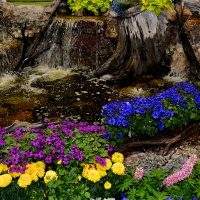 Check out the local Colorado plant nurseries, artists, and florists that are going to be featured at the 2019 Colorado Garden & Home Show. 2020 Information will be released throughout the year. The Colorado Garden & Home Show features a Design Specialty Flower Show presented by the Colorado Federation of Garden Clubs (CFGC). 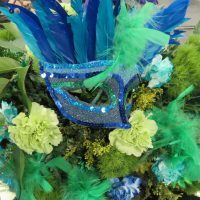 This year's theme is “Rhythms In Bloom”. The juried competition of more than 68 inspiring floral designs creatively showcasing artistic interpretation of games played by children and adults was presented in this year show. 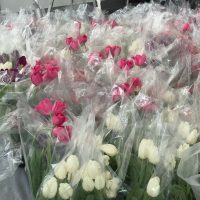 Read more about the Flower Show at the 2019 Colorado Garden & Home Show! © Copyright Colorado Garden Foundation. All rights reserved.